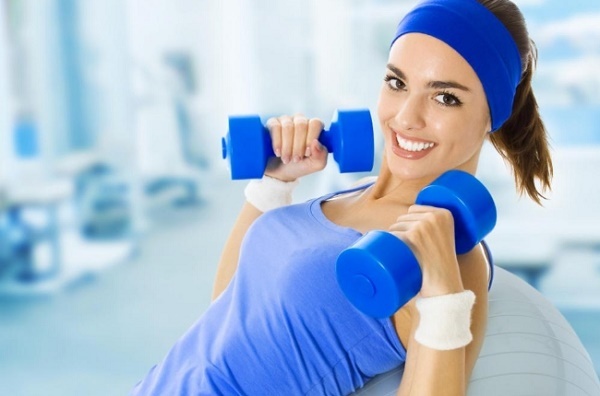 (1)Lie flat on your back with a dumbbell in each hand. The upper arms form a straight line with the shoulder; elbows are bent and facing upwards. (2)Hold your head straight and keep your feet flat on the floor. (3)Raise your arms slowly upwards, almost straightening the elbows, until they are over the shoulder area. Do not lock the elbows to prevent injury. (4)Gradually lower the arms down to starting position. Rest for 2-3 seconds. (5)Repeat this exercise 20-30 times in 2-3 sets performing 10 reps per set and keeping your back straight throughout. Wall presses also help a lot to lift and firm sagging breasts. (1)Stand facing a wall, and place both palms against it at shoulder height, with your fingers pointing up. (2)Keep your feet firmly planted on the floor about 2 feet apart. (3)Gently bend your elbows as you bring your upper body closer to the wall. You will feel the stretch and tightening in your pectoral muscles. (4)Stretch until your elbows look like right angles. Hold this stretch for 5 seconds. (5)Slowly return to the standing position. Relax for 5 seconds. (6)Repeat this exercise 10-20 times. Push-ups strengthen your pectoral and chest muscles to lift and support breast muscles. (1)Get down on your hands and knees on a mat or the floor. (2)Position your knees directly underneath your hips. (3)Place your hands on the floor below your shoulders. (4)Lift your body up by straightening your arms. (5)Straighten your knees so that your legs stretch out. Your toes and hands will support your body weight. (6)Raise your body on palms keeping your ankles crossed. Inhale as you slowly lower your entire body toward the ground. Your elbows will gently bend. (7)Attempt to touch your chest to the ground. Lower yourself as far as you can, but don’t touch your chest on floor and don't strain yourself. Hold this position for 2-3 seconds. (8)Slowly lift yourself to the starting position. Rest for 2-3 seconds, then repeat until you have done 10 repetitions. Slowly raise your arms as high as you can. Then, join your palms above the head. Push your arms in the upward direction as much as you can. Stay in this position for 5-10 seconds. Repeating this as many times as you can for 10-15 minutes daily will tone up the sides of your breasts. 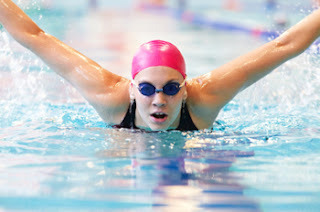 Swimming not only strengthen your pectoral muscles but also help a lot to firm your sagging breasts.Any exercise that works on pectoral muscles also work on the breasts. This is especially important if you have heavy, sagging breasts since a stronger chest provides greater support to breast and help a lot to get back the breast firmness.